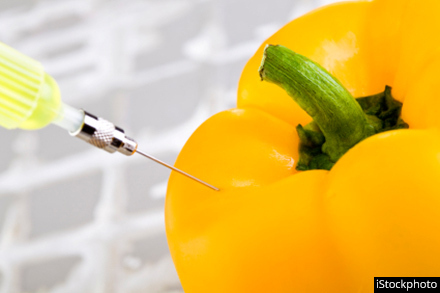 Genetically modified material sounds a little bit like science fiction territory, but in reality, much of what we eat on a daily basis is a genetically modified organism (GMO). Whether or not these modified foods are actually healthy is still up for debate. Genetically modified material sounds a little bit like science fiction territory, but in reality, much of what we eat on a daily basis is a genetically modified organism (GMO). Whether or not these modified foods are actually healthy is still up for debate -- and many times, you don't even know that you are buying something genetically modified. However, by 2018, Whole Foods Market will start labeling GMOs in the U.S. This grocery chains' locations in Britain already provide GMO labeled products, as required by the European Union. According to the EU, GMO refers to plants and animals"in which the genetic material has been altered in a way that does not occur naturally by mating and/or natural recombination." Almost 85 perecent of corn grown in the U.S. is genetically modified. Even Whole Foods's brand of corn flakes was found to contain genetically modified corn. Many producers modify corn and soy so they are resistant to the herbicide glyphosate, which is used to kill weeds. Soy is the most heavily genetically modified food in the country. The largest U.S. producer of hybrid seeds for agriculture, Pioneer Hi-Bred International, created a genetically engineered soybean, which was approved in 2010. It is modified to have a high level of oleic acid, which is naturally found in olive oil. Oleic acid is a monounsaturated omega-9 fatty acid that may lower LDL cholesterol (traditionally thought of as "bad" cholesterol) when used to replace other fats. 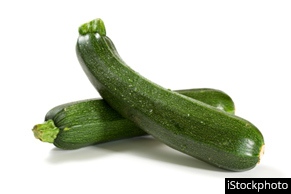 Numbers of this GMO veggie are relatively small, but genetically modified yellow squash and zucchini can be found in two different species in the U.S. The species contain protein genes that protect against viruses. Just like their other GMO counterparts, you won't be able to tell the difference between non-GMO and GMO zucchini or squash. Cultivation of genetically engineered alfalfa was approved in 2011, and consists of a gene that makes it resistant to the herbicide Roundup, allowing farmers to spray the chemical without damaging the alfalfa. Canola is genetically engineered form was approved in 1996, and as of 2006, around 90 percent of U.S. canola crops are genetically modified. 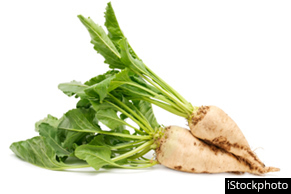 A very controversial vegetable, sugar beets were approved in 2005, banned in 2010, then officially deregulated in 2012. Genetically modified sugar beets make up half of the U.S. sugar production, and 95 percent of the country's sugar beet market. To increase the quantity of milk produced, cows are often given rBGH (recombinant bovine growth hormone), which is also banned in the European Union, as well as in Japan, Canada, New Zealand and Australia. Looking Forward: Do GMO Apples Give Us A Glimpse Of The Future? GMO apples are currently under review by the USDA, and have been since 2010, when the company Okanagan Specialty Fruits, Inc., developed apple varieties that don't turn brown for an entire two weeks after slicing. Polyphenol oxidase (PPO) is an enzyme that causes the browning of Golden Delicious and Granny Smith apples, and scientists are now able to deactivate the gene. Some studies do show stripping fruits of PPO can impact a plant's susceptibility to diseases. The creators say they simply want people to eat more apples and while activating this gene slows the process of browning, it's still a natural process. It's clear that other parts of the world view GMOs as health threats, but it's still an ongoing debate here in America. For now, many GMOs have been deemed safe by organizations like the Food and Drug Administration and the U.S. Department of Agriculture.